Very nice sunset here - so I've added a photo before the post below. Winds have been strong this afternoon ahead of the cold front approaching Arizona. Views here are of the Catalinas top, which shows cloudiness developing over parts of metro Tucson and the mountains; and north from Kitt Peak below, which shows considerable blowing dust in the boundary layer. 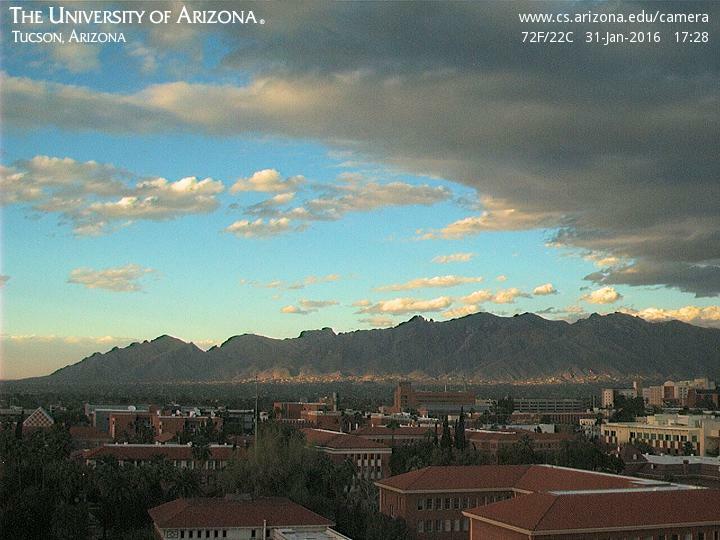 Both images from around 5:30 pm MST. Wind gusts of 30 to 50+ mph have been common this afternoon across much of the state. We will see what morning brings us. The short-term model forecasts for the impending late Sunday - Monday weather event have changed little during past 24-hours. Shown above are GEFS QPF plumes from 06 UTC last night - the operational member (blue) is now second driest of all the ensemble forecasts. The models forecast the precipitation window to be from about midnight Sunday night to noon Monday. Graphics below show two forecasts from the Atmo WRF runs at 06 UTC last night. Directly below is the WRF-NAM forecast for precipitation amounts through 5:00 pm MST on Monday. The WRF-GFS forecast is very similar, and both models forecast a fast-hitting event with mostly light precipitation for southeastern Arizona (higher amounts over mountains, especially to northeast of Tucson). The models continue to indicate a windy event, and graphic at bottom is from the WRF-GFS and shows the forecast for 10-m wind speeds valid at 2:00 am Monday morning. Looking beyond the Sunday/Monday event is not very encouraging. Shown here are the GEFS forecasts of average 500 mb heights: above valid at 120-hours (5:00 pm February 3rd) and below at 240-hours (5:00 pm February 8th). The west coast ridge strengthens as 500 mb heights remain very high over the northern polar regions. The ridge extends across the pole into the eastern hemisphere, almost breaking the northern hemisphere pattern into two circulations. We are stuck in the near ridge doldrums, while active and cold weather impacts the eastern US and Europe. The Sunday night/Monday morning weather event is now getting within the forecast range of the WRF models run at Atmo, and model forecasts shown here are all from the 6 UTC runs this morning. The WRF-GFS forecasts a strong band of showers, and perhaps thunderstorms, moving across eastern Pima County after midnight on Sunday night (above shows forecast of composite radar echoes valid at 5 am). All the models forecast a strong cold front accompanied by gusty winds. Graphic below shows the WRF-GFS forecast for 10-m wind speed valid at 7 am on Monday morning. The WRF forecasts speeds often over 30 mph at the airport during the period from Sunday midnight through the end of the forecast period at 11 am MST on Monday. The WRF precipitation amount forecast for TUS during the event is 0.2", but this may again be conservative. The current NWS morning forecast for the TUS (airport) grid point is shown above. The forecast is essentially the 06 UTC GEFS forecast verbalized (see below), with the POPs and winds speeds damped down a bit. The accompanying text indicates that winds at the airport could gust as high as 37 mph on Sunday afternoon. This leads to the question: How does NWS differentiate between "breezy" and "windy"? I checked the NWS Glossary and found that breezy means winds of 15 to 25 mph and that windy means winds of 20 to 30 mph. Like much that is available on NWS websites this is a bit vague and ambiguous (this is by design since perceptions vary with location - "windy" in Cheyenne, Wyoming, is much different than "windy" in the Tucson metro area). My personal definition for here is: when winds gust over 25 mph it is windy, which sort of fits the glossary, if speeds used there are for gusts (but they probably are not). The GEFS plumes for QPF above forecast 100% chance of precipitation at the airport between midnight and noon on Monday. The amounts in the models' forecasts now range from around 1/10 to more than 7/10 of an inch. The higher resolution WRF-GFS is at the lower end of this range, but has tended to be conservative during recent months. The 10-m wind speeds (below) definitely forecast a windy event for the airport. The GEFS forecasts a dramatic change to cold conditions after the front goes by, with the difference in 2-m temperature (above) at the airport dropping from near 70 F on Sunday afternoon to around freezing on Tuesday morning, while temperatures on Monday linger around the mid-40s during the day. The model forecasts of precipitation type (below) also indicate some small chances that there could be snow showers (blue) observed at the airport. All-in-all a very interesting forecast from the models of significant change as February gets underway. Used the WRF-GFS to look at the high, and perhaps a bit of middle-level, cloudiness today using the OLR (Outgoing Longwave Radiation) forecasts. The forecast above was valid at 7:00 am MST this morning (28 January), and pretty much fits with my current look outside. After this cloud band goes by, the day becomes sunny until an upper-level cyclone moves by during the afternoon and evening. The OLR forecast below is valid at 5:00 pm this evening. As for next week's strong cold front passage, the GEFS plumes from 00 UTC last evening (second below), continue to forecast a very windy period, at the airport, from Sunday afternoon through Monday. The last rainfall here at the house was on the 7th and 8th of January, so it has been a long dry spell, as El Nino impacts seem to have stayed mostly north and west of our area. Have taken a look at the GEFS plumes for the next weather event that will affect the Tucson metro area. The QPF plumes from 06 UTC last night now all forecast measurable precipitation for the airport (above), with the average being around 2/10 of an inch or so. The timing in the model forecasts indicates the precipitation occurring during Sunday night into Monday morning. The plumes for wind speed (below) show gusty winds picking up late on Sunday afternoon and peaking during the day on Monday. The ensemble forecasts for temperature (second below) indicate a strong cold front coming by late on Sunday. Shown above is the operational GFS forecast (from 06 UTC last night) for total precipitation amounts through 5:00 am MST on next Tuesday morning. In contrast, the WRF-GFS forecast (from 00 UTC last evening) is shown below. The finer terrain resolution within the WRF shifts the focus of the event into the mountains, which will undoubtedly be the case. The WRF-GFS forecast for wind speeds indicates gusty winds on Sunday afternoon, that become quite strong at the airport around sunrise on Monday. Remember that the WRF forecasts have tended to be too dry during the last couple of months, and the event is still quite a bit in the future, so we'll watch to see how the model forecasts evolve as the weekend approaches. Out west in Denver, the Broncos will play New England this afternoon. Conditions in Denver may bring a very slight chance of showers during the second half, but with falling temperatures and a threat of snow after the game. Here in southern Arizona, the global models seems to be keeping a change back to wetter conditions out at 7 to 10 days (forecasts have been teasing us like this for about the last three days). Shown here are the operational GFS forecasts, from 06 UTC last night, of total precipitation for 7 days above (ending at 06 UTC on 31 January) and for 10 days below (ending at 06 UTC on February 3rd). The blue shades range from 3/4 to 1 1/2 inches. This seems almost like waiting for Christmas to little kids, but eventually it will get here. While most weather attention continues to be focused on the winter storm in the Northeast, we have remained very dry here in the Southwest. Nothing noted in my weather log, except morning low temperatures, since January 8th. 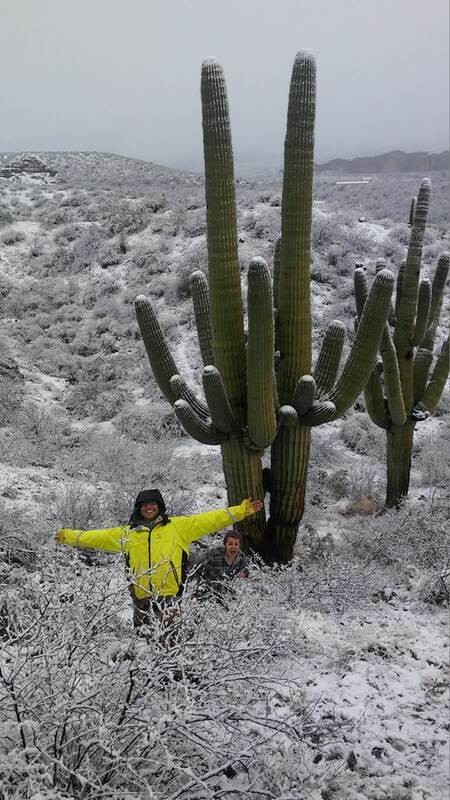 Jack Diebolt sent along the PW climo for Tucson soundings this morning (above) and noted the record dryness we've been enduring - itchy and dry skin time of year. The AFD from Phoenix NWS early this morning did note the dry soundings here in Tucson. That discussion was amazingly thorough and well-done; quite unusual and interesting to read (see below). At the very bottom are the GFS ensemble mean forecasts for 500 mb valid at 84-h (12 UTC 26 January) and at 168-h (00 UTC 30 January). These will help put the AFD in context, and also indicate that weather may return to our part of the country as the month comes to an end. ESTABLISHED ALONG THE WEST COAST FOR THE BULK OF NEXT WEEK. UNCERTAINTY GIVEN THE POTENTIAL INFLUENCE OF THICKER CLOUD COVER. WITH FALLING HEIGHTS AND A COOLER POST FRONTAL AIRMASS. FALLING IN A SLIGHTLY BELOW NORMAL CATEGORY. CONFIDENT STATEMENT AT THIS POINT. The precipitation pattern in the West continues flip-flopped wrt what might be expected for the current strong El Nino event. 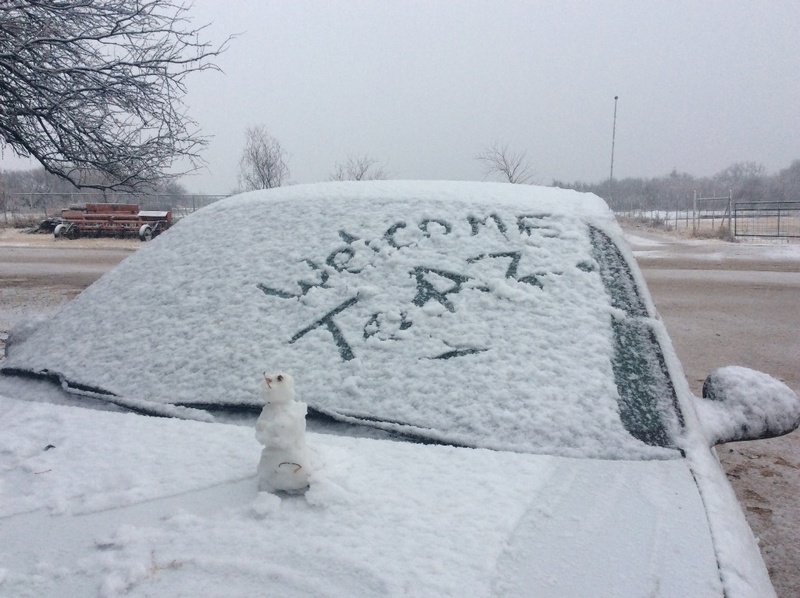 There is some hope that weather will return to southern Arizona at the end of the month. Saw your post on the 5 planets visible in the morning. The Lemmon all-sky pic shows four planets. I attached an annotated version of the image below. I checked to see if Comet Catalina was visible (a little above the handle of the Big Dipper) but couldn’t see anything definitive. It is a nice fuzzball in small binoculars. The alignment is pictured above. 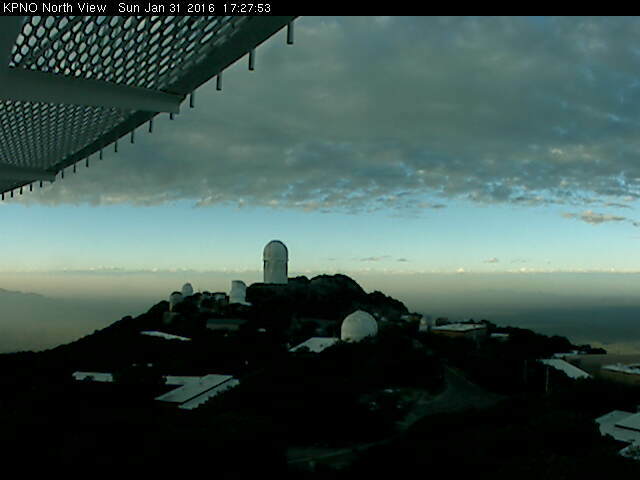 Below is a sky-cam photo from mt. Lemmon a bit before 6:00 am. 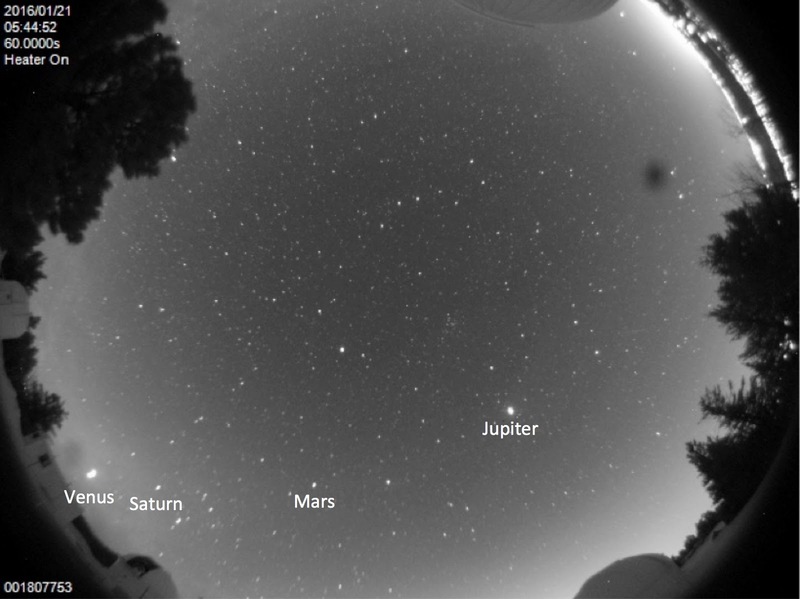 I am certainly no expert re star gazing, but I think that perhaps three of the five planets shown above (Jupiter, Mars, and Saturn) can be seen in the lower half of the sky photo - but that's just my guess. More expert interpretations most welcome. In the previous post I had focused on the very large difference between the 500 mb forecasts from the GFS and ECMWF operational models out at 5:00 pm MST on January 20th. This is now only 96-hours out from 00 UTC last evening, and I show those forecasts here. These forecasts are now very similar, with the ECMWF trending toward the GFS solution, so that now the forecast 500 mb heights over Tucson for Wednesday afternoon are now essentially the same. The GFS appears to have prevailed in this situation.The short wave heading onto the Southern Plains in both forecast models becomes a major storm system by next weekend - see below. Here in the Southwest we started January with a very typical El Nino pattern and had a wet period in the first week of the month (i.e., the 4th through the 7th). However, that El Nino type pattern quickly flip-flopped wrt to precipitation and has left us high and dry in southern Arizona. The above graphic shows the GFS operation forecast of total precipitation for the next ten days, ending at 5:00 pm on January 26th. The model forecasts threaten to leave us high and dry for the remainder of the month. Finally, weather chatter this coming week will focus on the possibility for the first major Mid-Atlantic to Northeast storm of the winter. The models are forecasting a classic Noreaster to develop off shore from Friday through Sunday. The ECMWF surface forecast below is valid at 00 UTC on January 24th. The GFS forecasts are similar and a major storm may be in the offing; one that could alleviate the snow-drought that much of the Northeast has been experiencing. Impacts from such a storm, if it materializes, would be substantial but minimized some by its weekend occurrence. A rare January hurricane, Alex, developed in the North Atlantic during the past week or so. This storm moved into low latitudes and gradually acquired tropical characteristics. 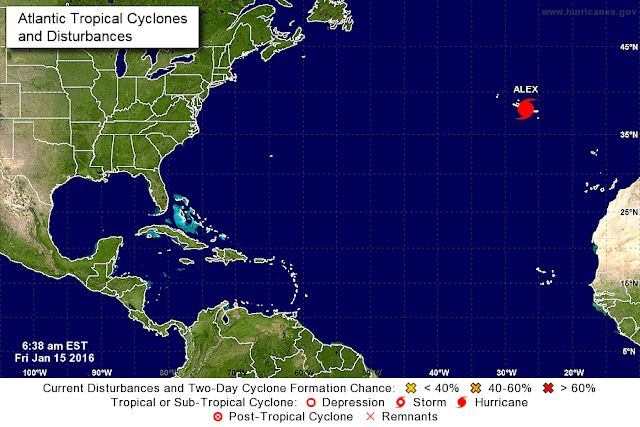 It moved across the Azores this morning and is rapidly transitioning to an extra-tropical storm again. Current early am position is shown above and forecast track, from NHC, below. Although the storm loses it tropical character, it is forecast to continue producing hurricane winds, thus the "H" in the track circles. Here in the Southwest, benign weather continues with cool mornings and warm afternoons. A weak system passes by today, bringing some cloudiness with it and a change from the past four days which have been mostly clear. In the longer term, there is yet another substantial difference between the operational versions of the GFS and the ECMWF, run at 00 UTC last evening. The two 500 mb forecasts shown here are both valid at 5:00 pm MST on Wednesday the 20th. Heights in the ECMWF forecast (below) are about 150 m lower than those forecast in the GFS (above). There is a fast-moving, sharp trough in the one forecast and a minor blip in the other - we'll watch to see which model prevails in this situation. After a wet start to January, the primary storm track across the north Pacific has been shifting northward, leaving much of the Southwest looking ahead to a dry week or so. Above is this morning's GFS analysis of the 300 mb level. The strong split in the flow, that typifies El Nino winters, remains distinct off the West coast, but the southern branch of the flow has weakened and shifted southward. The main storm track for next week or so will continue within the northern branch of the flow. The 168-hour forecast of total precipitation for the next week (from the GFS operational member run at 00 UTC last evening) is shown below and forecasts a very wet week from northern California northward and northeastward, with mostly mountain precipitation for parts of the Southwest. The forecasts from CPC illustrate how fickle the monthly outlooks can be. The outlook above is for January 2016 - the northward shift of the storm track means that much of their outlook for the West is not going to verify well. The outlook below, also from CPC but from yesterday - January 11th, is for the period from January 19 through 25. This outlook is more in sync with the current pattern and essentially reflects persistence for the next two weeks - however the pattern remains volatile over the Pacific, and CPC may end up chasing after the evolving synoptic patterns for the rest of the month. I just happened to see a snippet of the game that's underway in Minnesota and came out to check the surface obs, above - from 19 UTC. 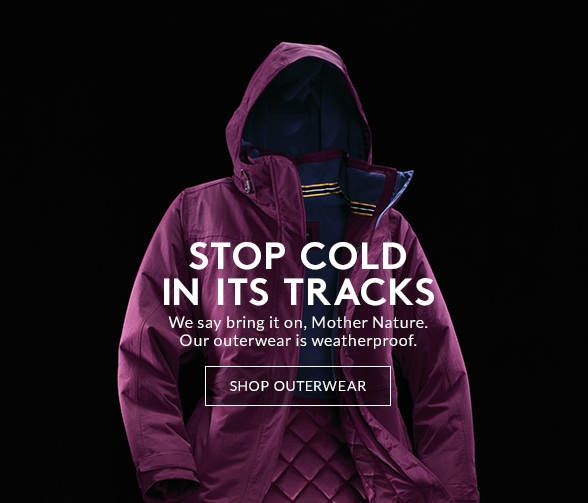 Almost simultaneously Katie received the ad below, via email from Landsend. The Lands’ End Expedition Parka: Polar-Vortex Tested … Polar-Vortex Approved At Lands’ End, outerwear isn’t just created in an office on paper; it’s literally tested in the harshest conditions possible. That’s good news for the over 50% of people surveyed who thought they needed to be MORE prepared this winter! There is no better way to prepare for a snowy, cold trek to the bus stop, office, or even the mailbox than with the Lands’ End Expedition Parka. This jacket was not only built to withstand the polar vortex, it was put to the test IN the polar vortex by Lands’ End experts! 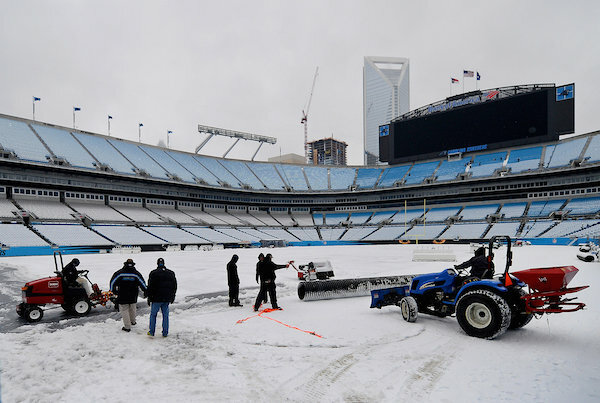 Photos from last Thursday's snow storm. Above is view from east of the Santa Rita Mountains. Below are two from the folks at Sleeping Frog Farms - along the San Pedro north of Benson.